Rudolf graduated with first class honours from the University of Cape Town in 1996 and completed his radiology training at Groote Schuur Hospital and the University of Cape Town in 2004. 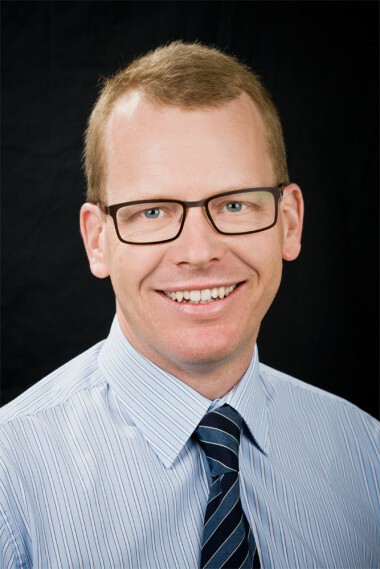 He joined Perth Radiological Clinic in 2004 and became a Partner in 2005. His main clinical interest is head and neck radiology including dentomaxillofacial imaging. Condylar position assessed by magnetic resonance imaging after various bite position registrations. Kandasamy S, Boeddinghaus R, Kruger E. Am J Orthod Dentofacial Orthop. 2013 Oct;144(4):512-7. doi: 10.1016/j.ajodo.2013.06.014. Computed tomography of the temporomandibular joint. Boeddinghaus R, Whyte A. J Med Imaging Radiat Oncol. 2013 Aug;57(4):448-54. doi: 10.1111/1754-9485.12021. Epub 2012 Dec 28. Leprosy presenting as orofacial pain: case report. Delcanho RE, Boeddinghaus R. J Orofac Pain. 2012 Spring;26(2):142-7. Invited speaker, Advanced Ear Surgery Course, Ear Science Institute of Australia , 14-16 March 2013. CT Anatomy of the Temporal Bone. Australian and New Zealand Society of Neuroradiology, Annual Meeting, Canberra, March 2011: Imaging the Anterior Skull Base. RANZCR, Annual Scientific Meeting, Perth, October 2010: 1. A Review of Dentomaxillofacial Imaging 2. Thyroid Nodules – What to Do. Royal Australasian College of Surgeons Annual Scientific Congress Perth, May 2010: Imaging the Anterior Skull Base. Australian and New Zealand Head and Neck Society 11th Annual Scientific Meeting Fremantle, August 2009: The best use of radiology in the diagnosis and management of head and neck cancer. RANZCR, Annual Scientific Meeting, Adelaide, 18 October 2008: An approach to the Orthopantomogram. WA branch of the RANZCR, monthly professional meeting, Perth, 18 June 2008: The Imaging of Conductive Hearing Loss.